1. Register using special link. 2. Open real ProCent trading account. 3. Get 100 USC for trading. You can withdraw bonus and profit you get with its help under broker’s standard conditions. You need to pass verification process. 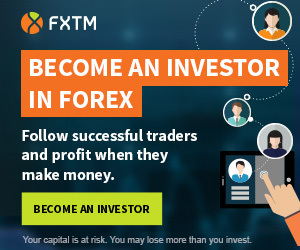 The offer is available for MetaTrader 4 and MetaTrader 5 ProCent accounts. The promotion is available only to new clients. FreshCent is a FreshForex project. FreshForex is operated by company from St. Vincent and the Grenadines. Promotion valid: until 30th April 2019.